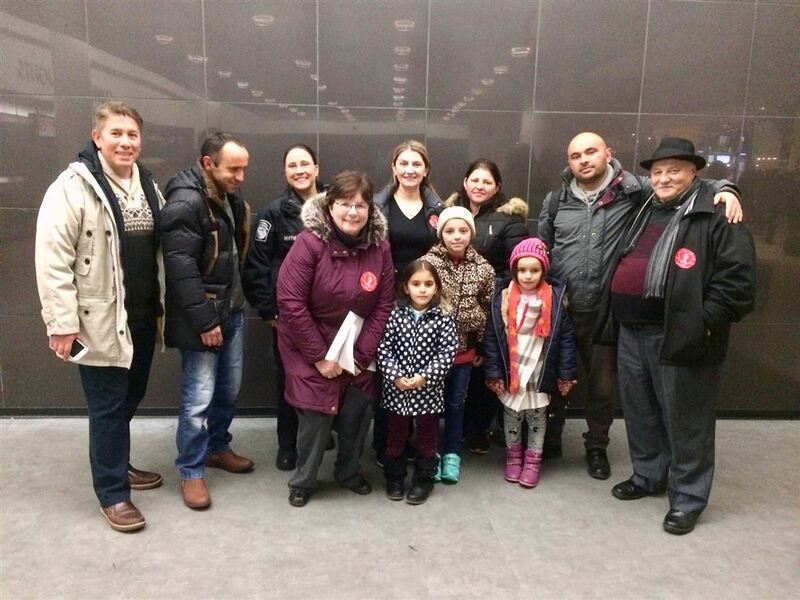 Six-year-olds Vlera Xhaferi and Alea Zeqiri and nine-year-old Muhala Krasniqi and their parents arrived at JFK International Airport this evening. Program Director Mary Reardon and members of the Verrazano Rotary Club met them at the airport. Fathers, mother and daughters were exhausted from the long flight to America, but have now settled in comfortably at Ronald McDonald House of Long Island. The girls have a busy week ahead of them. Their surgery at Saint Francis Hospital is scheduled for Wednesday and Muhala celebrates her birthday on Sunday.